29 All-Time FIFA World Cup Top Goal Scorers In World Cup History, The Number Of Goals, How Many World Cup Tournaments & What Years. The 21st edition of the biggest football event on the planet, The FIFA World Cup, is around the corner. 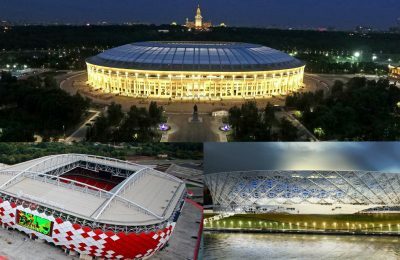 The 2018 host country, Russia, is as ready as it gets, with all the stadiums, logistics, fans management and all other required logistics reportedly in top gear. It will be another thrilling month of excitement, high adrenalin, shattered dreams or fulfilment, possible new records, and new heroes. Thirty-two (32) countries will go toe-to-toe, and if necessary, head-to-head and try to walk-the-talk. Only one boss will emerge – yet unknown. 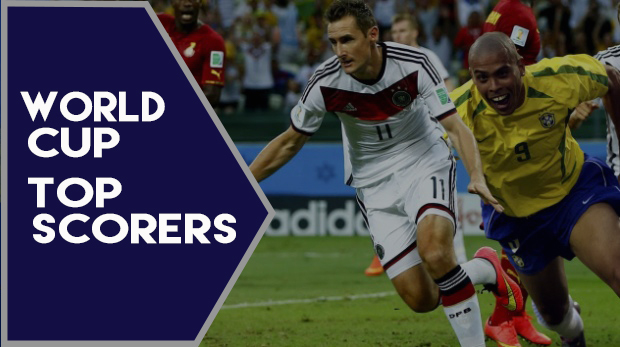 So, as another history is about to happen, we take a look into the past, the 29 all-time FIFA World Cup Top Goal Scorers in World Cup History. Miroslav Klose holds the record for the most goals in World Cup history having scored 16 goals in 24 world cup matches. He broke the record in world cup 2014 previously held by Brazil’s Ronaldo who scored 15 goals in 19 world cup matches. Currently, Brazil’s Ronaldo tails behind German Miroslav Klose. Below is the list of twenty-nine (29) all time top goal scorers in world cup history.